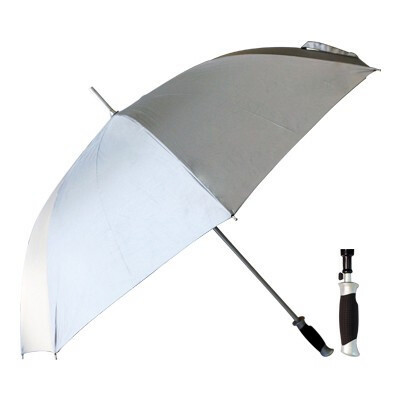 Premium quality umbrellas. Auto opening. Aluminium Light Technology. Overlocked panel joint. Strong wind proof system. Full strong fiber glass shaft. Strong fiber glass ribs. 8 panel high quality showerproof nylon canopy. Super comfortable EVA foam handle. SPF rating 50+ Protection. Item Size: 75 cm Ribs.